I have to admit, i’ve seen this photo hundreds of times but never in this clarity. Since publishing the Blantyre Project Book, many people have been emailing me or posting me very good quality photos and pictures. So, today I invested in a decent scanner, meaning I’m now able to bring you photos in incredible detail. 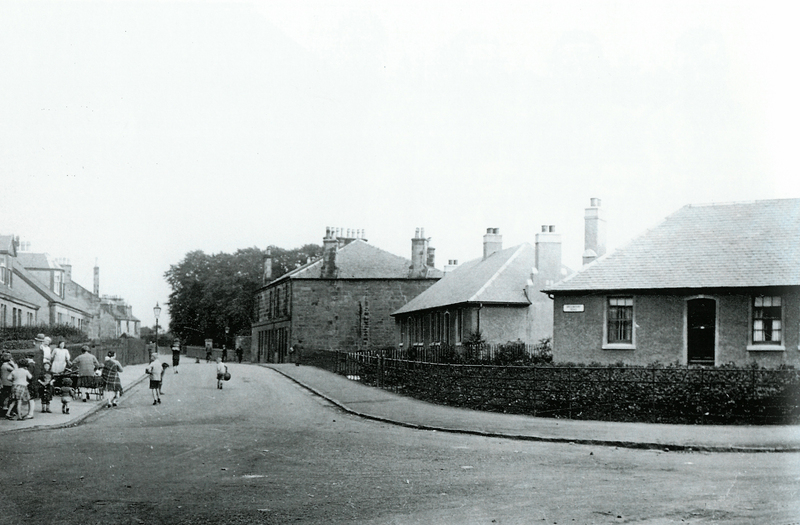 This photo is of course Stonefield Crescent pictured ‘around 1929’. The houses on the right in the Crescent were being built. 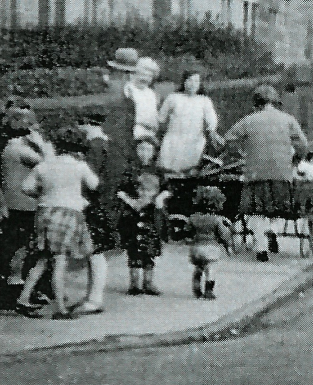 The tenement in the background was “Warnock’s Laun”, long since demolished. The view looks up Broompark Road and is taken from the cross at Stonefield Road, Stonefield Crescent. pointed out to me today, i should be sitting up and taking much more notice of this photo. My grandmother and her parents lived in the house at the corner which was known as Danskin’s shop, now the newsagents. It was an aunt who pointed this out to me, but there in the corner of the photo, when i zoom in, and standing in their driveway, is my grandmother as a young girl with black hair and a white dress and beside her my great grandmother Agnes Hunter with a bold white locks. This is indeed my family and ancestors! This photo is commonly available as a postcard, so many hundreds would have been printed, however, i would like to correct something. The postcard commonly says “Stonefield Crescent around 1929”. Well, actually, i think it’s 1931. For 2 reasons. Firstly, i believed the houses on the right to be constructed in 1930. 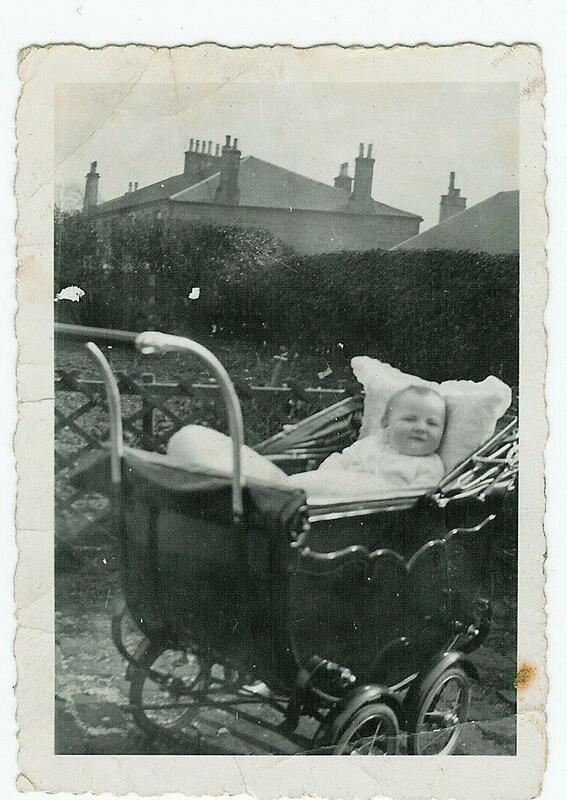 Secondly, and incredibly, i know the baby in the pram pictured in the centre of this photo, to be my great uncle Alec Danskin, who was born in 1931. The houses in Stonefield Crescent are of course still there , as are the stone houses on the left side of Broompark Road. I have reproduced the original Broompark Road photo in hi resolution which can be clicked on to enlarge for clearer viewing.